Fierce in wet conditions. Intense durability in cold temperatures. Strong hold on rough surfaces. 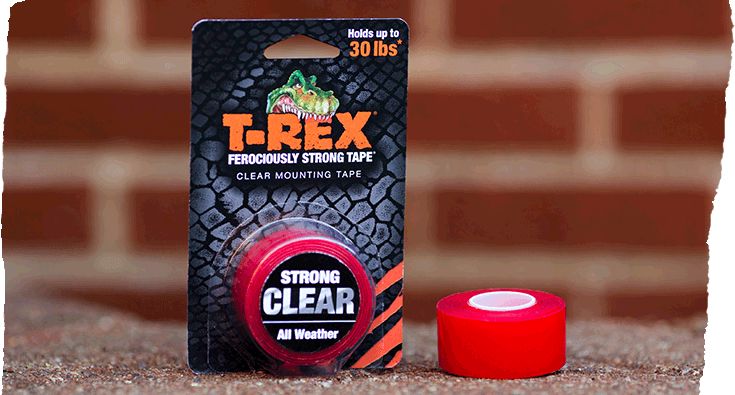 Three distinct layers combine to create this weather-resistant, ferociously strong tape. 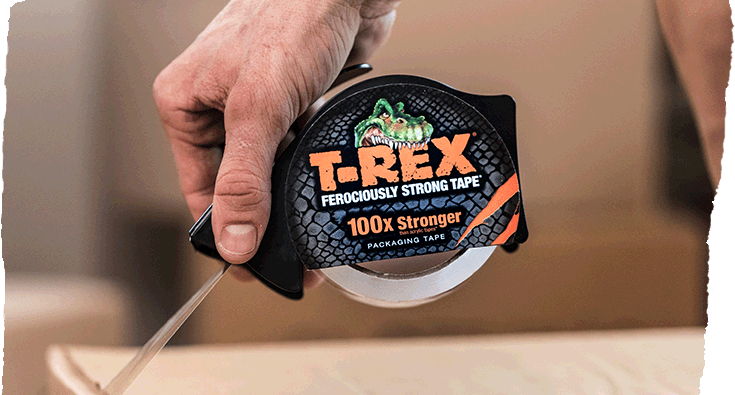 T-Rex ® Tape has been the go-to tool for DIYers, contractors, and the "get it done once" tape users. 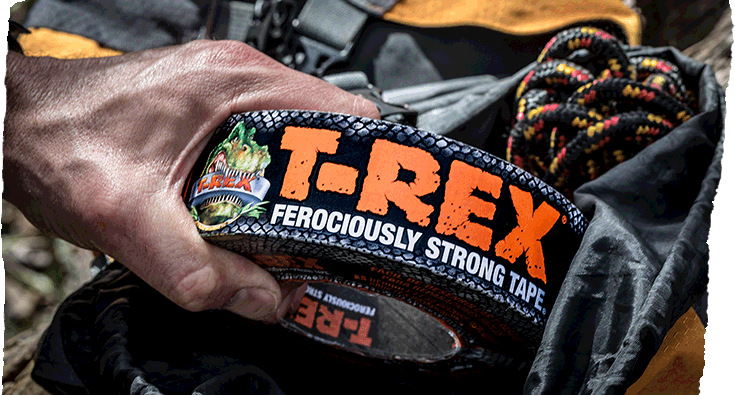 That's why this ferocious tape is available nationwide. Use our Where to Buy locator to find stores near you that offer what you need so you can get started on your next project. 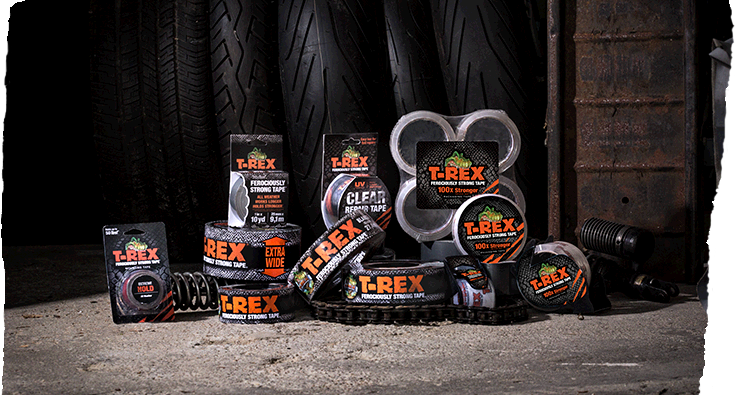 From heavy-duty packaging and mounting tapes to a wide variety of aggressively strong tapes for all-weather durability, T-Rex ® brand is designed for those moments in your life when you need intense holding power, no matter the application. 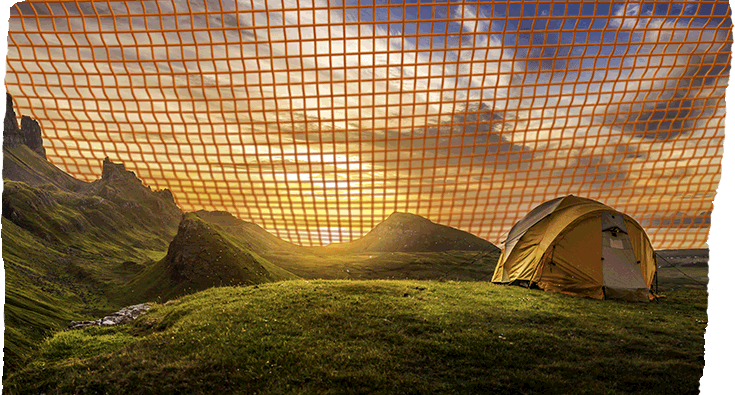 Waterproof backing, high tensile strength, double thick adhesive. This fiercely strong and durable duct tape, available in white and silver, is designed for those moments in your life when you need intense holding power, no matter the application. 100x stronger than acrylic based tapes, this thick and strong packing tape is designed to seal even the heaviest boxes safely and securely for moving, shipping and storage. 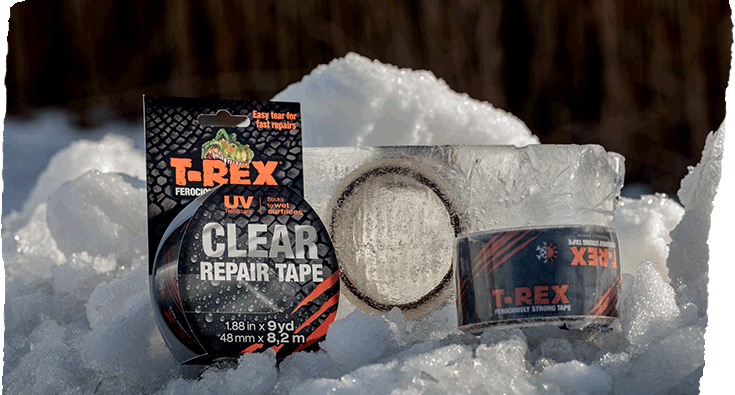 Designed for extreme adhesion on rough, cold and wet surfaces, this all-weather crystal-clear tape offers a puncture-resistant seal for indoor and outdoor repairs. This permanent mounting tape offers extra durability on a variety of both indoor and outdoor surfaces in different types of weather. 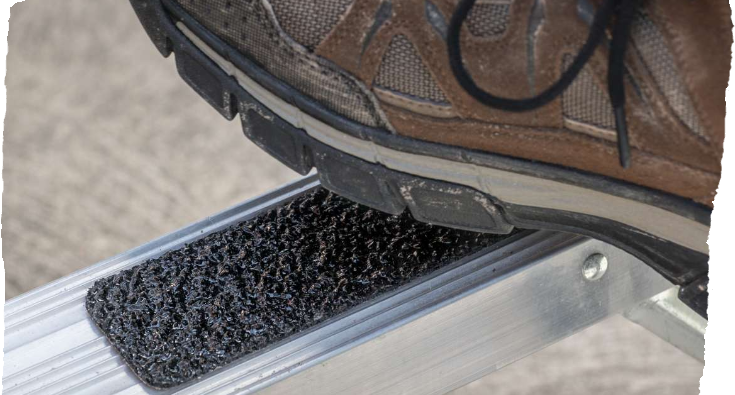 Made with a multi-layer grit embedding process, T-Rex® Extreme Tread Tape is industrial quality non-slip tape that improves surface traction on surfaces like steps and walkways, helping to prevent slips and accidents while meeting and exceeding OSHA and ADA federal recommendations. 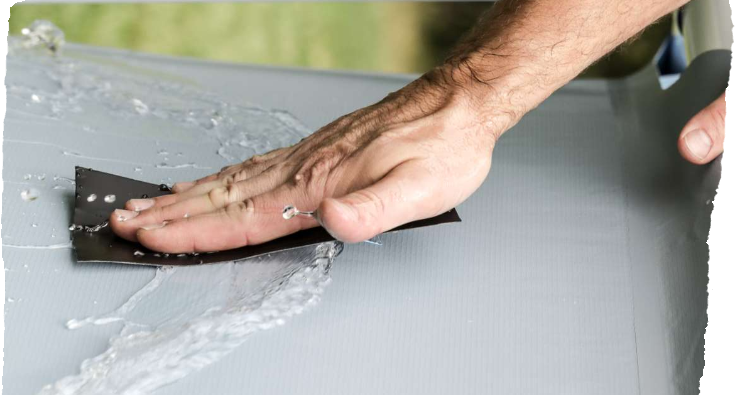 Provides waterproof adhesion to the toughest surfaces and even works underwater. Built with R-Flex Technology™ this tape is durable and flexible enough for a wide range of fixes and waterproofing repairs. 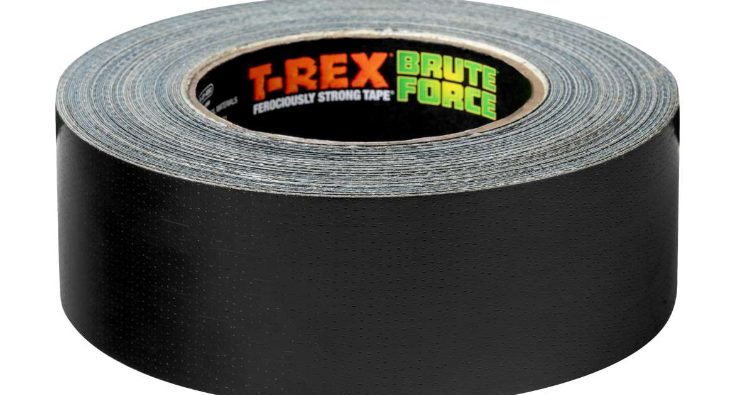 Built with Forge-Link™ Technology, an extreme tensile cloth, one loop of T-Rex Brute Force tape holds 700+ pounds of weight, making it the strongest duct tape on the market.